For the first time since President Trump's inauguration, his wife Melania Trump and son Barron are living full time in the White House. Although the first lady left behind Trump Tower, people are wondering whether or not the couple can shake the speculation fueled by several of the faux pas moments made viral between the two in Trump's first five months of presidency. 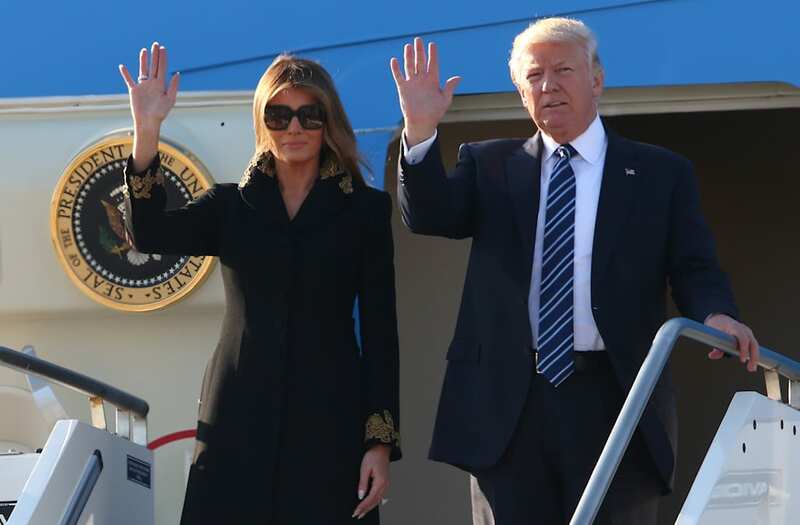 Body language expert Susan Constantine told Elite Daily that while she believes the first couple might have "had something at some point," whatever romance they once shared is long gone by now. "I think it's gotten worse. At the very beginning, when [she would] speak about her husband, she would stand up and speak on his behalf when he'd put his foot in his mouth, she was always there to support him," Constantine said. "I think she's gotten to a place where, now, since he's become president, that already inflated narcissistic personality is out of control," she added, suggesting that the president has grown somewhat emotionally unavailable to the first lady. As evidence of growing marital strife in their marriage, Constantine referenced moments between the two that were publicly perceived as spats, such as Melania Trump smacking away her husband's hand at Tel Aviv. "It's so obvious when I see them in different scenarios, coming on the plane or off the plane, he just has no respect for her or any woman." And the fact that the couple's brow-raising physical exchanges has captured the eye of the media only adds to the rift between the two, according to Constantine. "When the cameras are on, and he tries to hold her hand, I'm sure that he's now more aware that everyone's watching," Constantine reasoned, "that there's some discord or tension in that relationship, that he's now going to the next stage which is trying to show for the camera, let's make this look good." As for the first lady, Constantine said, she has been doing more to thwart her husband's efforts to save face by publicly distancing herself from him. "[Melania]'s giving these gestures that's saying, 'I want everyone to know that I'm not agreeable. I am not here with you. We are separate people,'" Constantine said. "I think she's gotten to the point where you can only walk ahead of me so many times, you can only ignore me so much, she's basically saying, excuse my language, eff you." And in speculation of the couple's fate, Constantine goes as far as to even state she foresees separation as an almost inevitable future for the pair. "I just cannot imagine that these two are going to stay married; they don't have even the elementary foundation of couple love and compassion and physical-ness between them. There's none of that, I don't see it," Constantine concluded.